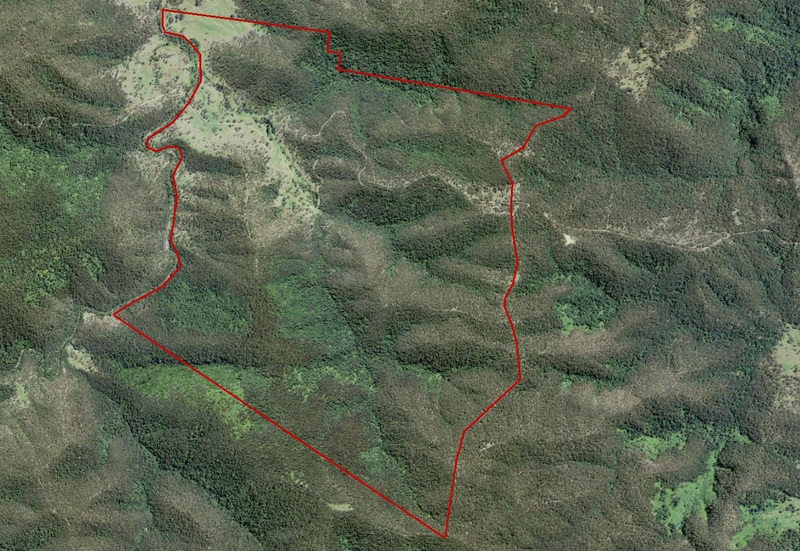 This holding totals 1694 acres (approx) and is located on Boundary Creek (Forest) Road, just outside Nymboida on the NSW North Coast. It is approximately 6.5km in from the turnoff at Armidale Road. The property is all freehold country and has frontage to Boundary Ceek (permanent), Zion Creek (seasonal), and Dry Creek (seasonal). There are substantial pockets of rainforest areas and scrubby gullies and lots of Hoop Pine and staghorns and elkhorns. Birdlife is abundant. Timber species include Ironbark, Tallowood and spotted gum, along with the odd cedar and teak tree. There is a current PVP in place, valid until 2023. The property adjoins Boundary Creek State Forest and Horton’s Creek Nature Reserve, along with other private landholder properties. Access is via a council gravel road. The property is identified as Lots 1, 2 and 11 in DP 753506 and Lot 13 in DP 44764 and is zoned RU2 – Rural Landscape. This property has been used as a grazing block for our vendors who have also taken a small amount of timber off the property; the block is now surplus to their needs and as such is offered for sale. Genuine offers will be considered.